Don’t let the appearance of dark circles and puffiness under the eyes impact your look. 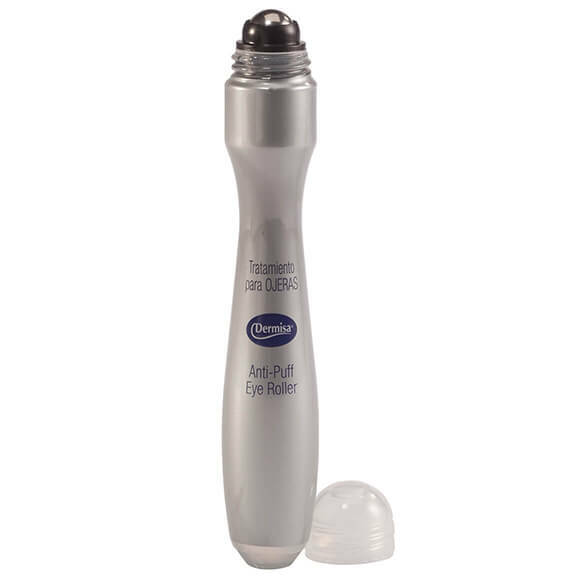 The Dermisa® Anti-Puff Eye Roller works with your skin to diminish dark circles and puffiness. Formulated with caffeine and other conditioning agents to let your skin’s real color shine through. 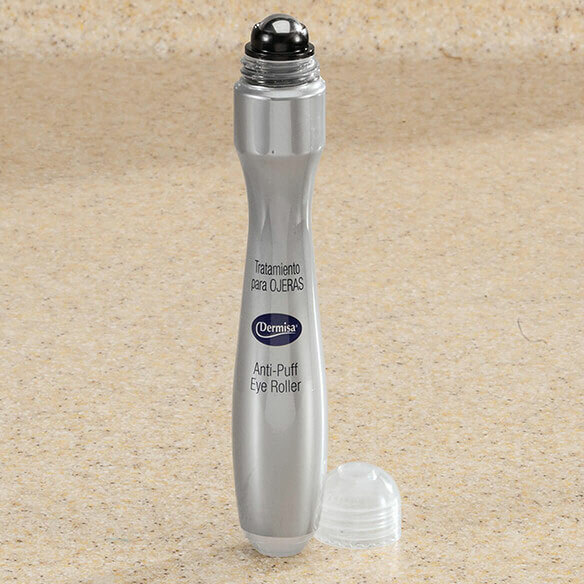 Wash face and pat dry then starting from the inner corner of the eye, gently roll Dermisa® Anti-Puff Eye Roller roller toward the outer corner. Repeat 1-2 times for each eye. For optimal results use under your daily moisturizer. Apply eye roller in the morning, at night and as necessary during the day. This oil-free formula is absorbed easily leaving a cool refreshed sensation. Ideal for use under makeup. Water (Aqua), Butylene Glycol, Glycerin, Caffeine, Panthenol (Vitamin B5), Escin, Guanosine, Hydroxyproline Disodium EDTA, Biosaccharide GUM-1, Sodium Hyaluronate, Xanthan Gum, Aluminum Hydroxyde, C13-14, Isoparafin, Disodium EDTA, Laureth-7, MICA, Polyacrylamide, Caprylyl Glycol, Methylparaben, Phenoxyethanol, Imidazolidinyl Urea. I have puffy eyes and dark circles. I have such puffiness under my eyes. I wanted to try this to see if it will help. I will keep Easy Comforts updated on the results!